Netflix’s Scared Games is in trouble. Congress Man Files Complaint. Sacred Games, an Indian web television series on Netflix, has landed in trouble as a Congress worker in Kolkata filed a police complaint against the streaming platform, actor Nawazuddin Siddiqui and the series’ producers for using an ‘objectionable word’ to describe late Prime Minister Rajiv Gandhi. 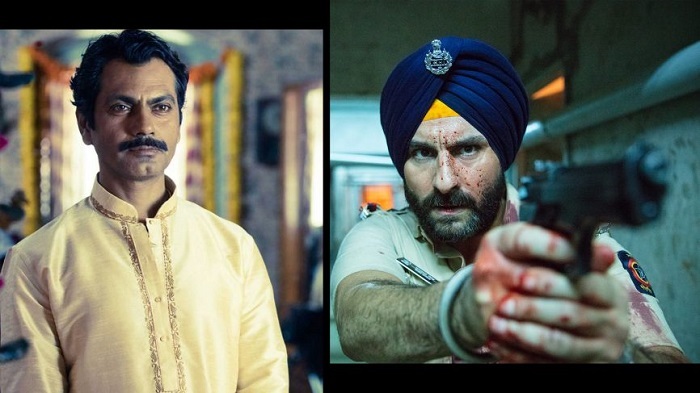 Sacred Games is the first political drama to come from Netflix in India and it took just five days for it to land in trouble. Siddiqui plays the role of Ganesh Gaitonde, a Mumbai gangster, and in one of the scenes, he called the late PM ‘fattu’ (coward). The complainant, Rajeev Kumar Sinha, told News18 that he felt RSS and BJP could be behind this. He filed a complaint at the Girish Park police station in north Kolkata on Tuesday morning. “We are deeply hurt and we want stern action to be taken against the offenders,” he said. The complainant further alleged that the show misrepresented facts during Rajiv Gandhi’s regime. “In one of the scenes, Shah Bano Begum case was discussed where Nawazuddin Siddiqui, said that he (Rajiv Gandhi) started the Ramayana TV serial to appease the Hindus so that people forget the case. We strongly oppose such objectionable words,” he told News18. In his letter to the police, the Congress worker urged that Netflix, Nawazuddin Siddiqui and the producers of the show be booked under appropriate sections of the IT Act and Indian Penal Code. Sacred Games is directed by Anurag Kashyap and Vikramaditya Motwane and was produced in partnership with Phantom Films. Shooting for the first season was completed on January 28 this year and all eight episodes were made available for streaming on July 6.